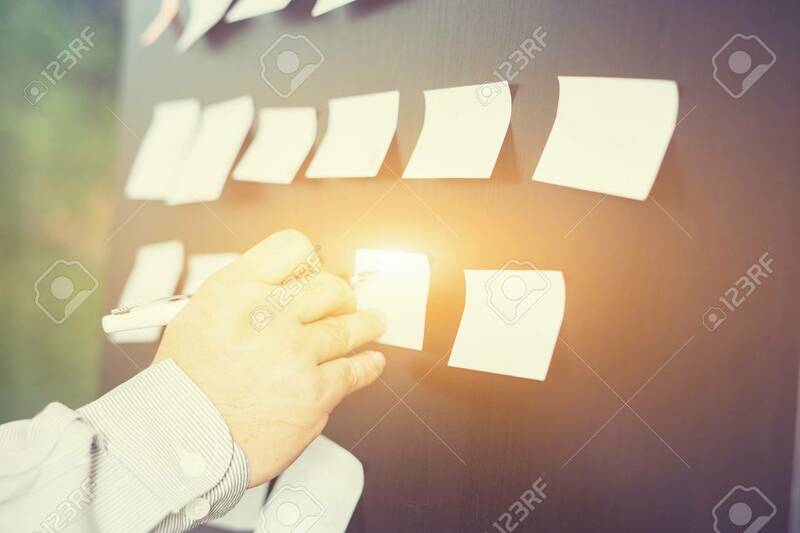 Planning, Risk And Strategy Of Project Management In Business, Businessman Putting His Ideas On White Board During A Presentation In Conference Room. Focus In Hands With Pen Writing In Flipchart Banco De Imagens Royalty Free, Ilustrações, Imagens E Banco De Imagens.. Image 80699891.